Cybele’s Secret by Juliet Marillier (Companion novel to Wildwood Dancing) – Loved Wildwood Dancing and Daughter of the Forest, Son of the Shadows. Know I’ll like this one as well. Divergent by Veronica Roth – So excited for this one! Nevermore by Kelly Creagh – Been wanting this for a while, my bookstore finally got a used hardcover in. So that’s everything I got this week, what did everyone else get? Let me know! Good selection of books. I bought Divergent as Well. It got such good buzz. I’m looking forward to read that as well. My IMM is going up tomorrow, I hope you will stop by! Ooo I loved Nevermore. It’s dark and has a lot of Poe elements in it. I’m not a Poe fan but it didn’t stop me from loving the book. Enjoy the read! I want to get to Nevermore because even the toughest of reviewers I know really enjoyed it. I’ll maybe get it on my next trip to the bookstore. I have Divergent as an ARC and really liked it. I’m glad you helped out in Divergent Day by buying a copy! Happy reading! Divergent and Nevermore are two of my favorite books! Hope you love them too! I received Divergent, too! 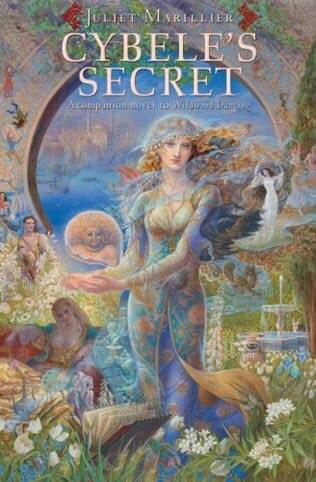 And Cybele’s Secret is a fantastic read– you won’t be able to put it down. I really want to read Nevermore as well. Anyway, happy reading! I really want to read nevermore! enjoy!! I have been wanting to read Nevermore, I must get a copy. I haven’t heard of Cybeles Secret. OO you are reading the Demon Trappers Daughter..I loved it!!! I can’t wait to read Divergent! I’ve heard it’s amazing, I hope to get it soon:) I adore Nevermore, that was one of my favorite reads last year, hope you enjoy it as well! I bought Divergent too!! I can not wait to start it. I keep hearing such great things about it! Great books this week. I have Divergent but I haven’t got to it yet looks good though. HEY! I got Nevermore too! Awesome! Divergent! Definitely a book I really want to read. Nevermore was a book that left me uncertain. I loved it until the last few chapters, then I just got lost. Enjoy your books!